To register, email mghhistory@partners.org or call 617.724.2755. Medical social work was a burgeoning field in the early decades of the twentieth century; what might now be considered a ‘holistic approach’ to medicine — dealing with the patient’s social background, life experience, job, and so on — was beginning to be regarded as a necessary corollary to medical treatment. 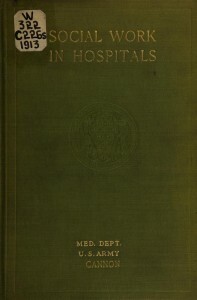 Ida M. Cannon published her Social Work in Hospitals in 1913 which, with the benefit of hindsight, seems to be unfortunate timing; within a year for many of her reading audience, the question will be numbers of hospital beds, recovery facilities, and medical staff, not so much how they treat their patients in a social context. Cannon followed her brother, Walter Bradford, to Boston from the family home in Minnesota. She supplemented her nursing education in Boston at the School for Social Workers and went on to work with Dr. Richard C. Cabot at the Massachusetts General Hospital. In 1914, a year after the publication of her book, she was named Chief of Social Service at the hospital; she held the position for over thirty years. In her book, Cannon gives a brief overview of the history of medical social work starting with religious communities and their historical role as supporters of the sick. She presents the social worker as a valuable adjunct to the physician, able to interact with the patient in different ways and supplement medical care with social assistance. Follow this link to read Social Work in Hospitals. As always, for more from the Medical Heritage Library, please visit our full collection! 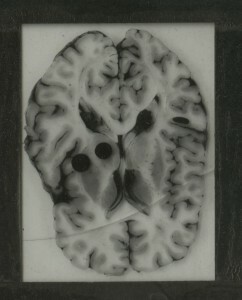 Glass plate negative of a brain section. Staff at the Center for the History of Medicine are completing the processing of the papers of Charles Miller Fisher (1913-2012), a noted neurologist. 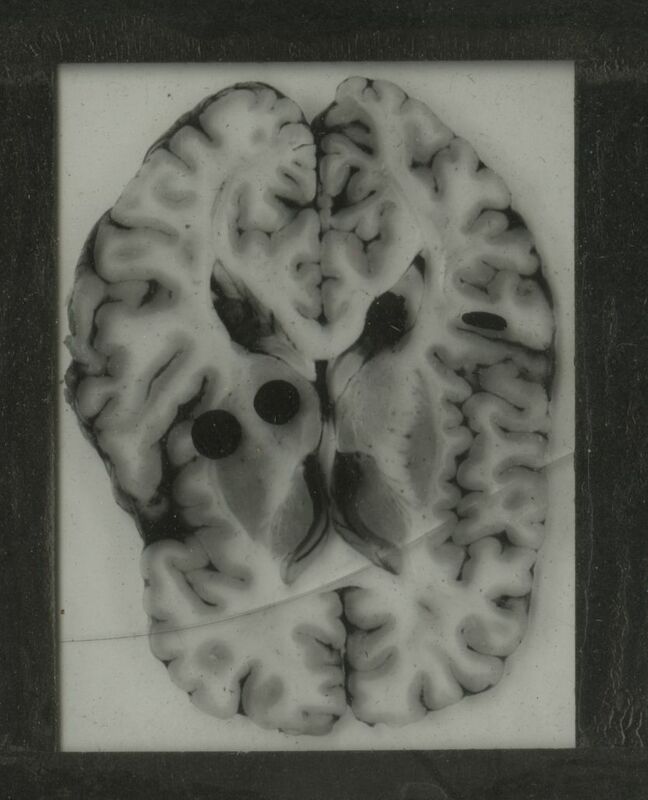 The collection reflects Fisher’s activities as a practicing physician and neurological researcher. Fisher attended medical school at Victoria University and the University of Toronto Medical School. He entered Victoria University straight from high school; the medical degree tracks required no intervening BA or BS degrees. There were two options for students wanting to study medicine: Straight Medicine and Biology and Medicine. The former had a six year course, the latter, a seven year, including special instruction in science and the arts. Fisher entered the Biology and Medicine track with 25 other young men. According to Fisher’s recollections, the Straight Medicine track attracted more students: 120 men and 20 women at his matriculation. The Charles M. Fisher papers will be open to researchers later this spring. The Center for the History of Medicine is pleased to announce the opening of the Edward Lowenstein papers, 1967-2002 (inclusive). The papers are the product of Lowenstein’s activities as Chief of the Cardiac Anesthesia Group at Massachusetts General Hospital (MGH) and as Anesthetist-in-Chief at Beth Israel Hospital and Beth Israel Deaconess Medical Center (BIDMC). The papers include Lowenstein’s professional correspondence while working at MGH, his outgoing correspondence from Beth Israel Hospital and BIDMC, and records from his involvement in the merger of Beth Israel Hospital and New England Deaconess Hospital. 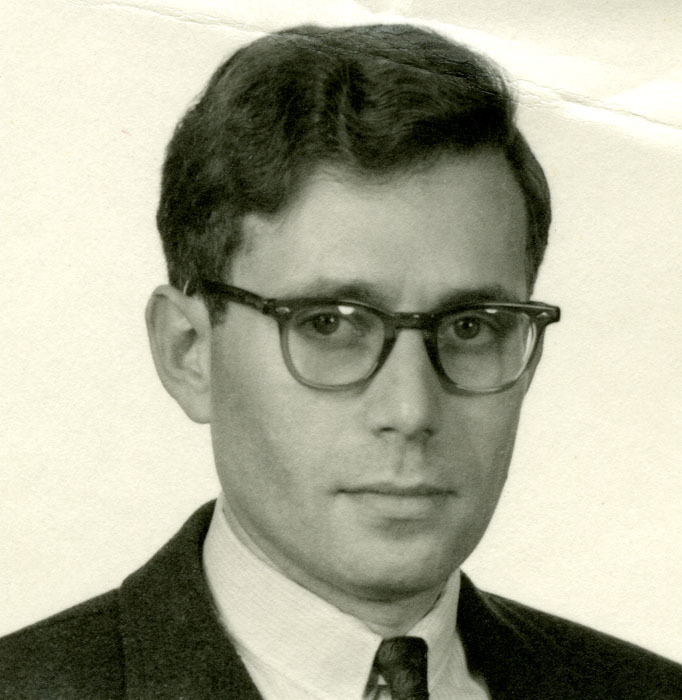 Edward Lowenstein (1934-), M.D., University of Michigan Medical School, is the founder of the Cardiac Anesthesia Group in the Department of Anesthesia at MGH. He served on the staff of the Department of Anesthesia from 1966 to 1989, while serving as Chief of the Cardiac Anesthesia Group from 1971 to 1983. Both the Group and its cardiac anesthesia fellowship program were the first of their kind. Lowenstein is also the former Anesthetist-in-Chief at Beth Israel Hospital and BIDMC (1989-1997). After leaving BIDMC Lowenstein was a Senior Fellow in Medical Ethics at Harvard Medical School (1997-1998), before returning to MGH in 1998 as Provost of the Department of Anesthesia and Critical Care. In 1998 he was also named Henry Isaiah Dorr Professor of Research and Teaching in Anaesthetics and Anaesthesia and Professor of Medical Ethics at Harvard Medical School. Lowenstein is a faculty member of the Department of Global Health and Social Medicine at Harvard Medical School. The finding aid for the collection can be found here. For information regarding access to this collection, please contact the Public Services staff. 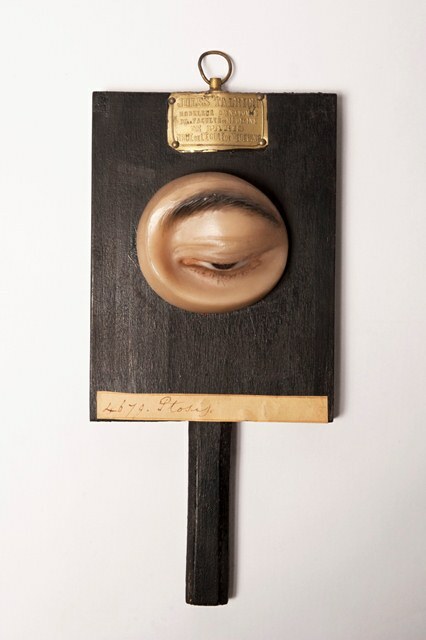 The Center for the History of Medicine has loaned two artifacts to the Massachusetts General Hospital’s Paul S. Russell, MD Museum of Medical History and Innovation for exhibits on surgeons John Collins Warren (1842-1927) and Henry Jacob Bigelow (1818-1890). The exhibition opened on April 4th and runs until July 31st. The artifacts are displayed in a case on the first floor lobby of the Hospital’s Lunder Building. 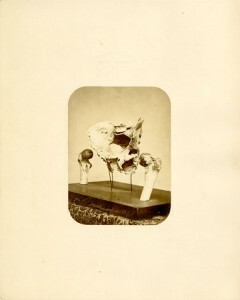 From the Warren Anatomical Museum the Center loaned a urinary calculus that Henry Jacob Bigelow removed from a Massachusetts General Hospital patient in 1882. 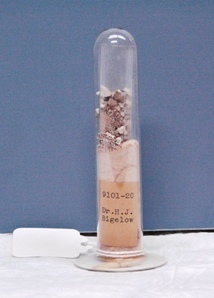 Bigelow crushed the calculus with a lithotrite and flushed the fragments with an evacuator using a technique he innovated and published in his 1878 Litholapaxy; or, Rapid lithotrity with evacuation. The loaned artifact [WAM 09101.020] is one of fifty examples of crushed calculi that Bigelow donated to the Warren Museum. From the Harvard Medical Library collection, the Center for the History of Medicine loaned six Codman & Shurtleff tumor dissectors developed by Massachusetts General Hospital surgeon and Harvard Medical School professor John Collins Warren. Warren, a noted breast surgeon, designed the knives for tumor removal. The dissectors were donated to the Library by George L. Nardi, M.D. in 1984. The Center for the History of Medicine has loaned watercolors, lithographs, drawings, rare books and manuscripts from its Boston Medical Library collection, Archive of Medical Visual Resources, and Warren Anatomical Museum to Boston University Art Gallery’s upcoming exhibition, Teaching the Body: Artistic Anatomy in the American Academy, from Copley, Rimmer, and Eakins to Contemporary Artists. 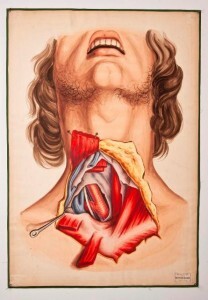 The Warren Anatomical Museum granted permission for reproductions to be made of three fragile watercolors from the Henry Jacob Bigelow teaching collection. Bigelow was Professor of Surgery at Harvard Medical School from 1849 to 1882. Between 1849 and 1854, he commissioned scores of anatomical watercolors from artist Oscar Wallis to use in the classroom. More on the collaboration can be found on pages 72-74 in the 1894 A Memoir of Henry Jacob Bigelow. The displayed reproductions are of a dissected neck, dissected legs and a dissected hand. Four works by anatomical artist Muriel McLatchie Miller (1900-1965) from the Countway’ s Archive of Medical Visual Resources will be featured. The exhibited drawings and watercolors are Aneurism of Abdominal Aorta, Half tone drawing showing abdominal operation, Scoliorachitic pelorus, and Gastroscopy & peritoneoscopy endoscopy. From the Boston Medical Library collection, Thomas Scott Lambert’s 1851 text, Practical anatomy, physiology, and pathology: hygiene and therapeutics, a volume of William Henry Furness’s manuscript Notes on different lectures delivered at Harvard College, Cambridge, from 1820, and an 1831 color lithograph of Massachusetts General Hospital will be exhibited. The exhibition will be accompanied by a series of programs. More can be found on the Boston University Art Gallery’s website, here. The exhibition will be open from February 1, 2013 to March 31, 2013 and some of the Center’s artwork will be published in an accompanying catalog. Anne B. Young, M.D., Ph.D.
Anne Buckingham Young (1947- ), B.A., 1969, Vassar College; M.D., 1973, and Ph.D., 1974, Johns Hopkins University Medical School, is a researcher, clinician, and educator in the field of Neurology. Dr. Young has acted as Chief of the Neurology Service at Massachusetts General Hospital and as the Julieanne Dorn Professor of Neurology at Harvard Medical School since 1991. She is the first woman to be appointed chief of service at Massachusetts General Hospital and the second woman to be elected president of the American Neurological Association. Her research is focused primarily on neurotransmitter systems in the basal ganglia and their role in Huntington’s, Alzheimer’s and Parkinson’s diseases; along with her late husband, John B. Penney, Jr., Young developed one of the most widely cited models of basal ganglia function. In 2001 she founded the MassGeneral Institute for Neurodegenerative Disease. Dr. Young is the only person to act as president of both the International Society for Neuroscience and the American Neurological Association. Young grew up in the North Shore suburb of Chicago and attended medical school at Johns Hopkins in a combined M.D./Ph.D. track. She and her husband, John B. Penney, took residences at the University of California-San Francisco in the late 1970s and began working with patients with neurological disorders such as Parkinson’s Disease and Huntington’s Disease. Starting in 1981, Young and Penney, until his death in 1999, were involved with the long-term study of a large family on the shores of Lake Maracaibo in Venezuela. The family had many and multi-generational incidences of Huntington’s Disease. The biological specimens from this study helped researchers in the United States to discover the genetic marker for Huntingon’s Disease in 1983 and the main gene in 1993. Young’s work has also resulted in a widely used model of basal ganglia function. The Anne Young papers, 1969-2007, consist of grants and research records, correspondence, presentation and lecture materials, and other items related to Young’s work on neurodegenerative diseases. Notably, the Anne Young papers also include one of our largest acquisitions of electronic records to date – comprised of over 8 GB of digital images, manuscripts, and other files documenting Dr. Young’s work. In the September 5th edition of The Journal of Bone & Joint Surgery, William H. and Johanna A. Harris Professor of Orthopedic Surgery James H. Herndon, M.D. 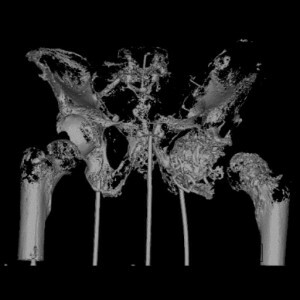 published an orthopedic and historical analysis of one of the Warren Museum’s most compelling medical cases, the sacrum, pelvis and femur upper extremities of an early 19th century Maine resident named Charles Lowell. Lowell is recognized as MGH’s first orthopedic case and his accident and subsequent malpractice claims are cited as one of earliest, well-published medical trials in the Unites States. On September 7, 1821 Lowell was thrown from his horse in Lubec, Maine, dislocating his left hip. His two physicians, John Faxon and Micajah Hawkes, believed they successful reduced the hip but when Hawkes visited Lowell 4-6 weeks later, he found that the injury persisted. Lowell traveled to the newly found Massachusetts General Hospital and its chief surgeon [and Warren Museum founder] John Collins Warren for relief. After much effort, Warren was unable to reduce the injury. Lowell left Boston vowing to sue Faxon and Hawkes for failing to repair his hip. Lowell vs. Faxon and Hawkes went through three trials. In June 1822 a jury found for Lowell. An appeal in September ended in a hung jury. The final trial in 1824 was the most involved, with many physicians, including John Collins Warren testifying. Warren later published his remarks in an explanatory pamphlet. The case ended in the physicians’ favor. 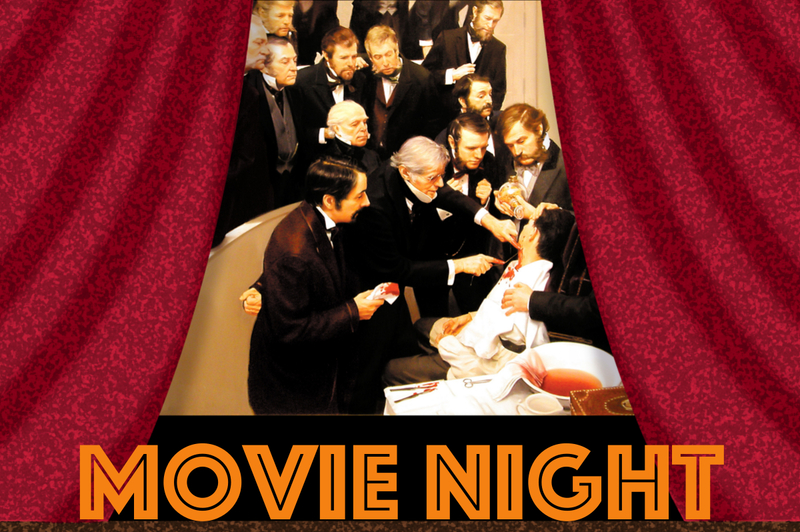 As the specifics of his injury proved the crux of the trial, Lowell was determined to have a postmortem done and upon his 1858 death Jonathan Mason Warren [John Collins Warren’s son] sent a colleague to perform the autopsy, bringing the hip back to Boston with family consent for further examination. This was the last orthopedic analysis done of Lowell’s injury – until Herndon’s 2010 study. permission from the Museum, took radiographs and a CT scan of Lowell’s hip. His findings, entitled An Orthopaedic Case Contributed Substantially to the First Malpractice Crisis in the United States in the Nineteenth Century, have been published in Volume 94-A, Number 17 of the Journal of Bone and Joint Surgery. 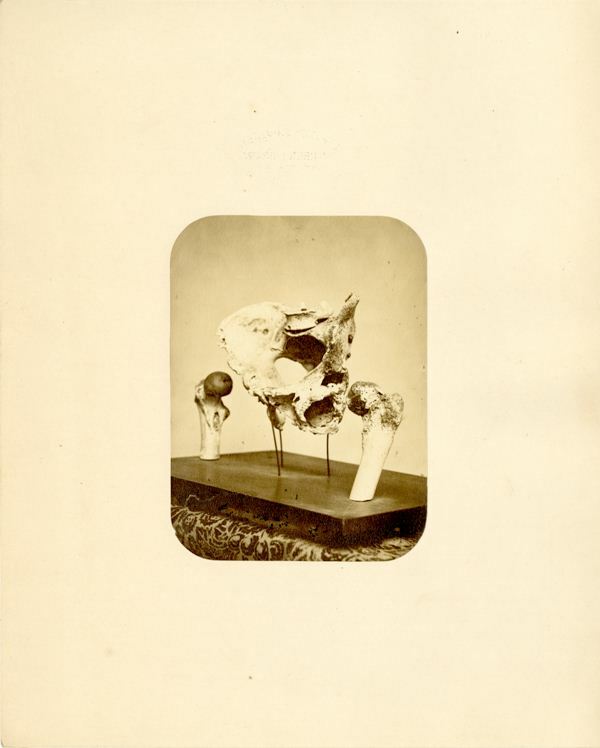 Dr. Herndon generously donated copies of the scans and radiographs to the Warren Museum to benefit future researchers. The Charles Lowell pelvis and femur preparation can be found exhibited in the Warren Museum Exhibition Gallery on the 5th floor of the Countway Library of Medicine on the Harvard Medical School campus. More information on visiting the Gallery can be found here. The Warren Anatomical Museum exhibition gallery on the 5th floor of the Countway Library has received several noteworthy mentions in the digital media in the past few months. The article welcomes the some 250,000 student residents to greater Boston and also features OncoMouse, the first patented lab animal, and the first lighthouse built in America, the Boston Light. Massvacation.com is the official site of the Massachusetts Office of Travel & Tourism. More information on visiting the Warren Exhibition Gallery can be found on the Center for the History Medicine’s website.